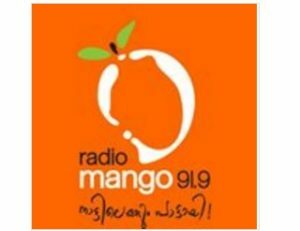 Radio Mango Malayalam 91.9 Live Online . Listen Over 50 Malayalam radio stations Online . Radio Mango 91.9 is an FM network from Kerala,India, operated by the Malayala Manorama Co Ltd in Kerala, specialising in popular music throughout the day. This is the first Malayalam private FM station in Kerala and it started FM broadcasting in November 2007 in four cities of Kerala Kozhikode,Thrissur ,Kannur and Kochi. The frequency for the stations in the four cities is 91.9 MHz.